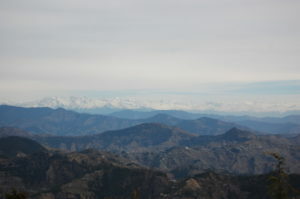 Shimla is often called as the Queen of the Hill Stations, and rightly so. Shimla has beautiful natural surroundings with majestic Himalayan peaks, dense Deodar & Cedar trees, beautiful apple orchards that impresses every eye that visits here. 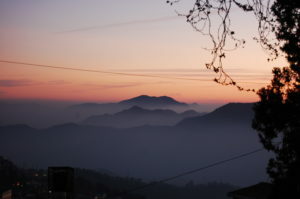 While there are several places and view points in Shimla which offers amazing views of the mountains, the route to Shimla itself is very scenic. 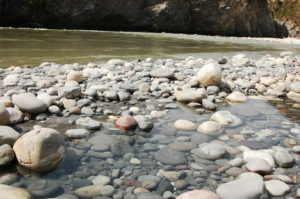 The 120 km drive from Chandigarh to Shimla goes through several bends and assumes steep ascents and offers beautiful view of the valleys the villages in those valleys. About 30 km from Chandigarh, you reach a place called Parwanoo where visitors, if interested, can enjoy a cable car/ropeway ride between the two hills of Shivalik Ranges. The cable car / ropeway is operated by a private hotel group to connect two of their properties. However, it is also open for visitors who just want to take an eight minute ride over the gorgeous mountain ranges. 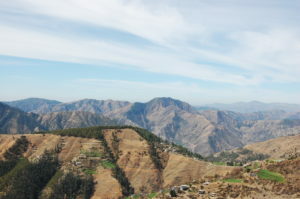 The journey after Parwanoo passes through many bends and curves, where one side of the road has high mountains and the other side offers views of picturesque valleys. As you go higher and higher gaining the altitude, the views of the surroundings become more and more spectacular. The trees and plants that are grown next to the road and in the surroundings also add to the beauty. Friends with thick fur on the road! The other alternative to reach Shimla is by taking a toy train that starts from Kalka. The route that the toy train passes through offers much better views of the surrounding valleys than the road journey. The added attraction to the 90 km journey is when the train passes through 103 tunnels of varied lengths. 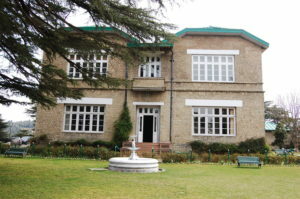 Shimla is one of the very few towns where vehicles are not allowed in the central town area. As soon as you get down the train, you need to walk though the neat and clean but narrow streets of Shimla to get to your hotel. As you walk down the streets, keep your eyes open to view the natural and picturesque surroundings.